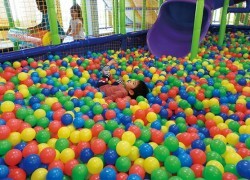 Two-hour admission: Mon-Fri 300-850 yen for children and 300 yen for guardian. This is an indoor playground located at Depot Island. English-speaking staff is available at all times to assist international visitors.